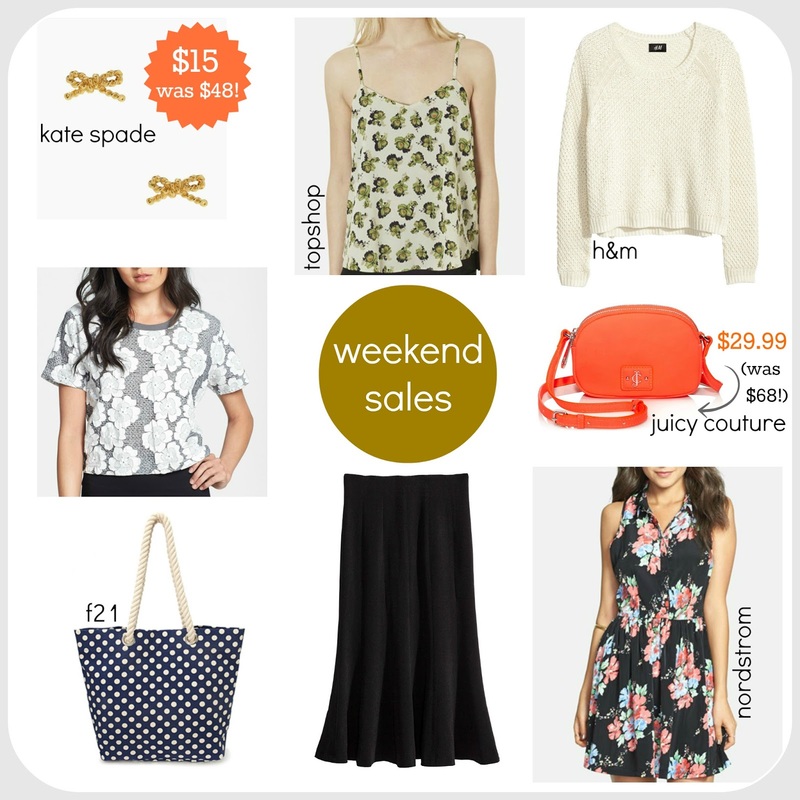 Tracy's Notebook of Style: Weekend Sales to Shop and under $30 Deals!! Weekend Sales to Shop and under $30 Deals!! Happy Weekend Fashionistas!! Here are the sales worth shopping and some of my favorites I've seen that are under thirty dollars. Make sure to check out the Kate Spade deal since you get an additional 25% off sale items, so many cute things to choose from. Those earrings are such a steal and I love the simple black maxi. I don't have anything like this (somehow) and wanted to get one at Gap today and it wasn't on sale. I know it will be eventually, so I'll wait it out. Thanks for the tip - these are some great sales!! That orange purse is adorable! You are welcome and the orange Juicy bag is really cute in person and a great size for a cross body bag! You found so many great deals- those Kate Spade earrings especially!! Weekend Favorites - under $30! Allure Summer Beauty Box Arrives April 29!! Trend Report: Lace Crochet Shorts for less! Peter Som for DesigNation at Kohls is here! !